The Khan’s Shrine was built of white limestone in the early XIV century. In the middle of the XIV century it was reconstructed to form a complex comprised of four shrines. 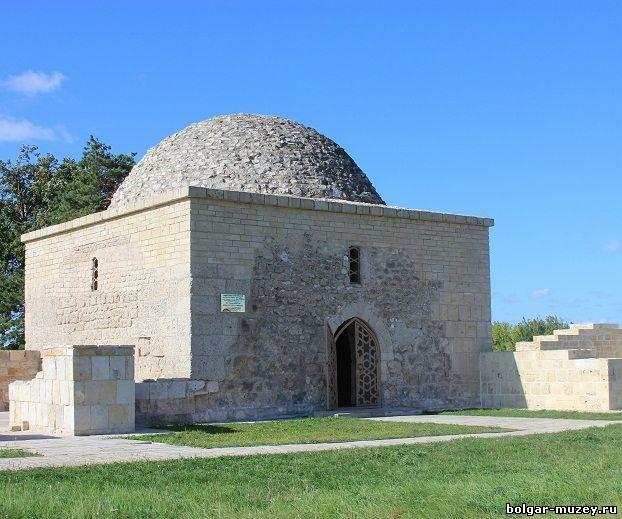 In plan, the building is a small domed structure without a portal dimensioned 8.5×8.5 m. it is an example of central-domed cubic mausoleums widely spread in Islamic Oriental countries. The Small Minaret was built of cut tuff and limestone blocks in the second half of the XIV century on the model of the Big Minaret of the Cathedral Mosque. Its foundation dimensioned 4.8×4.8 m in plan is precisely aligned to cardinal directions. The minaret is approximately 10 m in height. There is a stone spiral staircase of 45 steps inside leading to the upper space. An arched entrance at the northern side and an ornamental niche in the western part of the foundation are richly decorated with fine stone carvings. 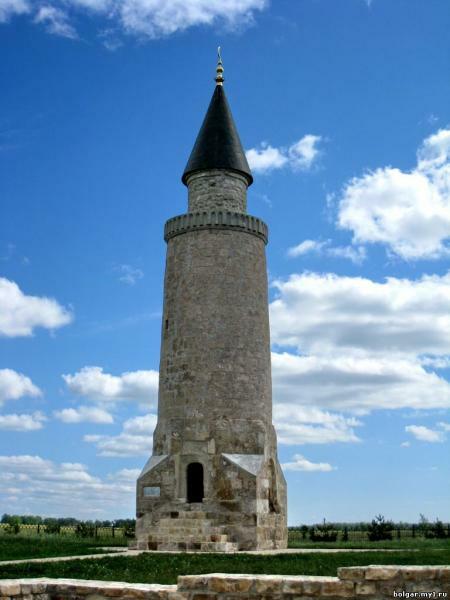 The small minaret is one of the medieval religious architectural monuments that have survived in their original state.